Origin Native to Sarawak and Southwest Sabah regions such as Malaysia, Kalimantan, Indonesia and Philippines. 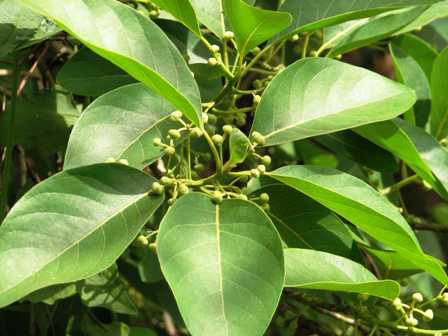 Engkala (Litsea garciae) is a tree that is native to Sarawak and Southwest Sabah regions such as Malaysia, Kalimantan, Indonesia and Philippines, which is classified under the flowering plant family Lauraceae. 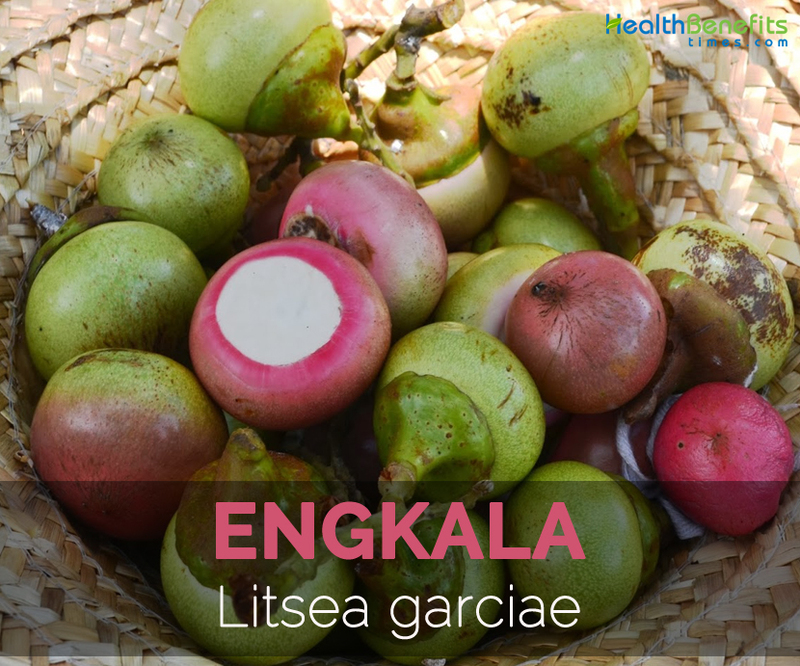 Engkala additionally refers to the tree’s fruit which is globose or ovate containing a single seed. They have thin pink or red skinned and fleshy body. 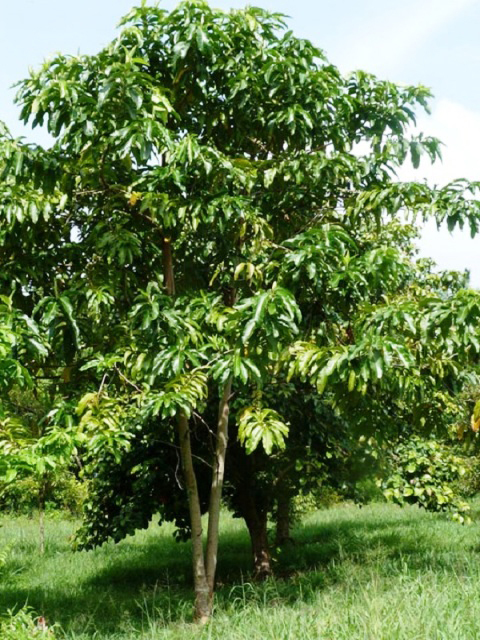 This plant is usually cultivated for its edible fruit which has a similar flavor of avocado. The tree grows up to 10-25 m high with trunk diameter 40-50 cm. 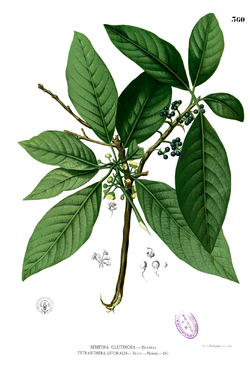 The leaves are arranged alternately, simple, ovate- lanceolate or obovate- lanceolate, glabrous and 25-40 cm by 6-15 cm. The flowers are small, yellowish to white having diameter as 15 mm. The fruit is oblate, globose, 22-30 mm across and 2.5-4.5 cm in diameter. The immature fruit has pale greenish white skin which turns to pink or red when matured. Each fruit has single seed of 15-20 mm. In Borneo, it is available all over the island. 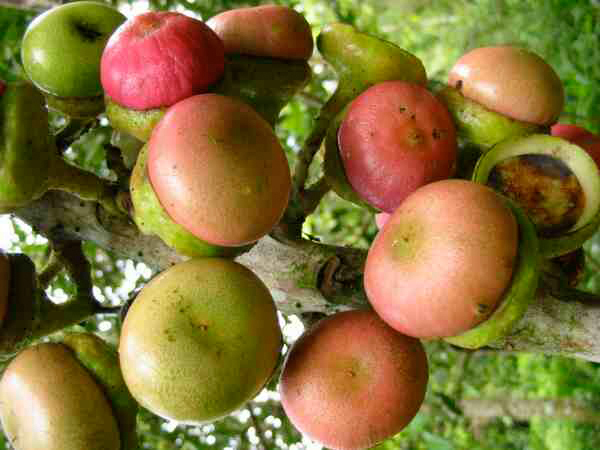 It is grown in cultivated in Bangka and Java (Indonesia). 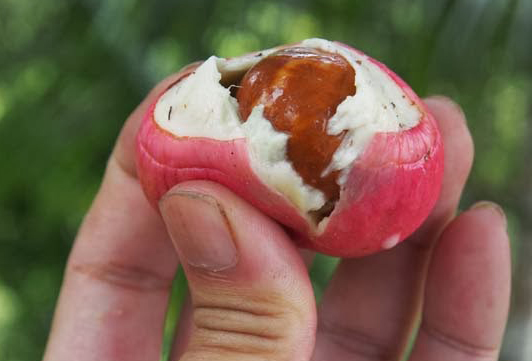 Its origin is regarded to be in Philippines. It grows wild in the forests which have medium and low altitudes. Engkala is also cultivated in Indonesia in the Mountain region of Java. 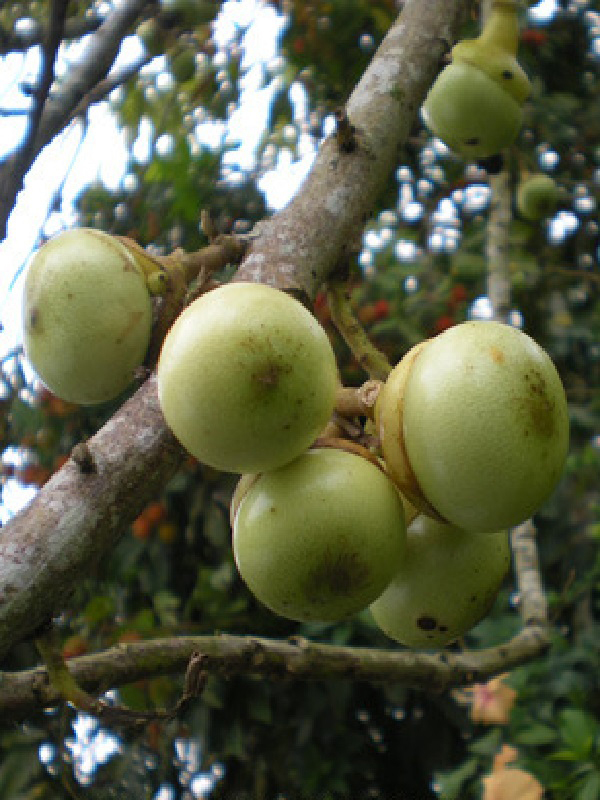 In Peninsular Malaysia, the fruit is cultivated to a smaller extent. 100 g of Engkala provides about 104 calories. The same amount covers 7 mg of Calcium, 0.5 mg of Iron, 17 mg of Magnesium, 26 mg of Phosphorus, 355 mg of Potassium, 10.2 ppm of Zinc, 2.6 ppm of Copper and 5 ppm of Manganese. The studies show that zinc is an effective aid to treat acne and pimples. Zinc promotes the function of white blood cells. White blood cells act as the vital part for the healing process which defends the body from the infections such as ulcers, canker sores, burns, wounds and surgical incisions. It is also essential for the collagen production which is a connective tissue that assists in the regrowth and repair of skin. Zinc possesses an antioxidant and anti-inflammatory properties which prevents oxidative stress. It acts as a natural treatment for cancer. Zinc is able to assist the healthy cell division, prevent the mutation of cancerous cell and growth of tumor. The study shows that the supplements of zinc lower the illness and side effects. It is also called atopic dermatitis. It is the chronic and inflammatory skin disorder which is caused due to the deficiency of zinc. Zinc is essential to heal the infections. It helps to heal by restoring its ability. The balance of Zinc in the blood helps to eliminate the irritation. Zinc is essential to balance the insulin levels in the body which is the hormone that is involved in regulating the blood sugar. Zinc stores the adequate insulin in the pancreas and release it when the glucose enter into the bloodstream. It properly utilizes the digestive enzymes that are essential for insulin in order to bind the cells so that the glucose could be used as a fuel. Zinc is required to deal with the prostate ailments. The zinc deficiency is the cause for prostate gland enlargement which makes it prone to the cancer. The patients of prostate disorder are advised to take 15 mg of zinc regularly. 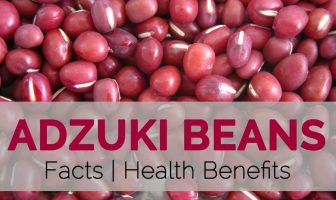 The study shows that with the presence of normal amounts of Zinc, it helps to lower the tumor growth. Zinc is required for the maintenance of healthy cells in the cardiovascular system along with the reduction of oxidative stress and inflammation. It assists the healthy circulation and is a natural aid for the high cholesterols and blood pressure. Alopecia is the health condition in which one suffers from the hair loss. The doctors suggest increasing the intake of zinc. Zinc helps to strengthen the hair which helps to reduce the symptoms of alopecia. The studies show that zinc effectively treats the childhood alopecia. The zinc supplements helps to lower the chances of infection as well as the liver damage. Zinc helps to cleanse the liver, reduce liver inflammation, free radical damage, eliminates waste and assists the absorption of nutrients. The intake of 150 to 450 mg of Zinc helps to enhance the vision. The foods rich in Zinc are lamb, beef, oysters, crabs and buckwheat. This food helps the people with night blindness. Zinc improves the night vision, promotes the enzymes which helps to lower the night blindness. Zinc has a vital role in the growth and division of cells. Zinc benefits the growth and repairmen of muscles by assisting the body to heal itself and also maintains strength in the skeletal system and muscles. Zinc assists to release testosterone, growth of insulin and hormones which is essential for healthy metabolism and build a muscle mass.